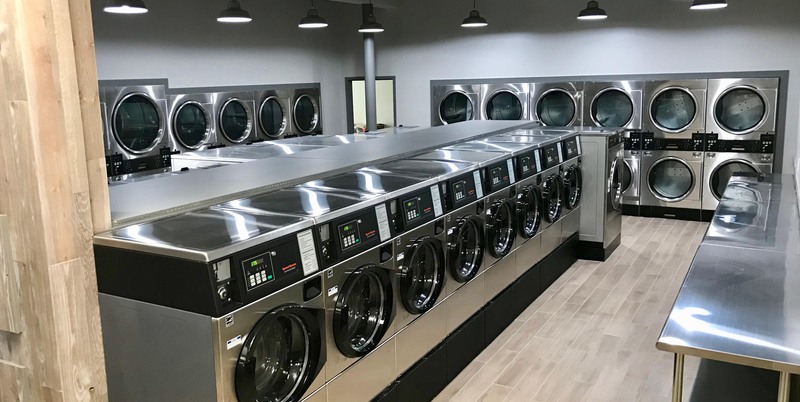 Family owned and operated since 1921, Coin-O-Matic provides commercial washer and dryer solutions and coin operated laundry equipment for multi-housing facilities, businesses with on-premises laundry needs and laundromats throughout Chicago, northern Illinois and northwest Indiana. We are the nation’s oldest Speed Queen coin operated laundry equipment dealer and are committed to providing excellence in customer service and professionalism. Whatever your laundry equipment needs are, the team at Coin-O-Matic has the products, service and support for you. Our service area covers a wide territory. From Galena, Clinton or Savanna, IL to the west, to Rockford, Dekalb and the greater Chicago area in IL to Gary, South Bend and Goshen, IN, Coin-O-Matic is here to help. Simply put, Coin-O-Matic is your #1 resource for Speed Queen commercial, coin and credit card operated laundry equipment. As the global leader in quality, product features, utility conservation, warranty and financial services, it’s no surprise that Speed Queen is made right here in the USA. Coin-O-Matic is proud to distribute Speed Queen commercial laundry equipment, because we know firsthand that business owners make more money with Speed Queen washers and dryers. We have the laundry equipment solutions for multi-housing property managers, laundromat owners, business owners with commercial and industrial laundry needs and investors looking for new business opportunities. Please contact Coin-O-Matic in Alsip, IL today as we are here to serve you from Chicago to South Bend, Rockford to Joliet and throughout northern Illinois and northwest Indiana. Learn more about our products, rental and leasing programs for Multi-Housing properties. Residents love our laundry room solutions! Learn more about our solutions for equipment, services and support for laundromats and coin laundries. Learn more about our washers, dryers and other equipment solutions for in-house laundry rooms. Speed Queen Finance Specials - Limited Time Only! Retain customers by allowing them to use credit cards on your laundry equipment. Read more about Accept credit cards on your washers and dryers!